Grain merchant, MLA (1914-1915), MLA (1916-1920). Born at Vromanton, Ontario on 4 August 1860, son of Samuel Parrish and Jane Cash, he was educated at Uxbridge. He worked in his father’s grain business until 1879 when he went to Huntsville, Ontario to operate a grist and flour mill for two years. He came to Manitoba in June 1881 and took up a homestead at Millford. In March 1885, he moved to Brandon where he partnered with W. J. Lindsay in the Manitoba Grain Company. He moved to Winnipeg in 1898 and established a branch office, with the main office at Brandon. For several years he was associated with the Manitoba Grain Company and the Western Canada Flour Mills. In 1909, he partnered with Norman Heimbecker in the firm of Parrish & Heimbecker, of which he was President until his death. He was also President of the Superior Elevator Company, Lombard Investment Company, Equitable Trust Company, Parkdale Dairy Farms, and Canada Grain Export Company, and a Director of the Fidelity Trust Company, Capital Loan Company, Inland Mortgage Company, Monarch Life Assurance Company, and Modern Dairies. On 17 March 1885, he married Annie Ellen Card (1862-1938), daughter of Alexander Card, of Glenboro. They had five children: Alice Eula Parrish (1886-1988, married to Percy Ellsworth Browne), Nellie Jean Parrish (1889-?, wife of Jacob Lawrence Hegler), Mabel Card Parrish (1892-1981, wife of Robert Elmer Spear and Cecil Bray Philp), Frederick William Parrish, and Wilfrid Linton Parrish (1897-?). He was a member of the Brandon city alderman (1896-1897) and Winnipeg Grain Exchange (President, 1900). He was a member of the Manitoba Curling Association (President, 1901-1902), IOOF, North West Commercial Travellers Association, St. Stephen’s Broadway United Church, Canadian Club, Carleton Club, Fellowship Club, Masons (Prince Rupert Lodge No. 1), and Khartum Shriners. During the First World War, he was Honorary Captain and Paymaster of the 90th Winnipeg Rifles (1910-1914). 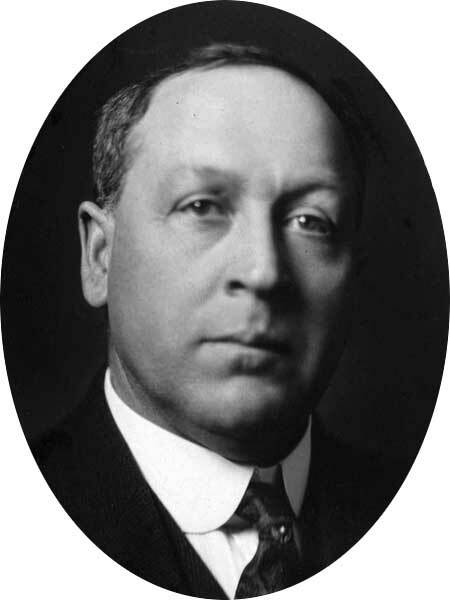 He was elected to the Manitoba Legisislature at the 1914 general election and was re-elected in 1915 but defeated in the 1920 general election. He was President of the Royal Canadian Curling Association and the Winnipeg General Hospital (1936-1937). He died at the Winnipeg General Hospital on 20 February 1949 and was buried in the Elmwood Cemetery. At the time of his death, he was living at the Royal Alexandra Hotel. “Parrish & Heimbecker,” Winnipeg Tribune, 25 September 1915, page 90. “Pioneer grain man, W. L. Parrish, 88, dies,” Winnipeg Tribune, 21 February 1949, page 4. Obituary [Frederick W. Parrish], Winnipeg Free Press, 24 August 1961, page 30. Obituary [Mabel Card Philp], Winnipeg Free Press, 23 February 1981, page 41. Obituary [Alice Eula Browne], Winnipeg Free Press, 22 September 1988, page 49.